Healthy living starts with good dental care. Our dental office is committed to providing you the best care so that we can let you enjoy a lifetime of function and a beautiful smile. We are a private practice; therefore, we are able to totally focus on what is important to you. Our office is designed for your comfort, and we work as a team to make your visit pleasant. We take pride in our ability to provide the finest dental care for our patients. 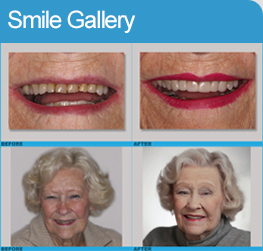 We offer services such as veneers, dental crowns, dental implants, sleep apnea appliances, TMD splints, and many more! We pledge excellence in all we do, and we look forward to serving you. We feel it is a privilege to be entrusted with the care of your mouth, and we will always strive to give you the best treatment possible. Caring for your teeth is an important factor in promoting good health. By focusing on what makes a mouth healthy, we will show you how to achieve the comfort and security of good oral health. Common sense tells us that preventing dental diseases is less costly and more rewarding than correcting problems once they occur. Good dental health is no accident. It is the result of good habits, proper nutrition, and regular professional care. Once you understand how dental diseases begin, then you will understand how to prevent them. That is why educating you as to how prevention can be accomplished is one of our primary goals. In the dental profession, as in most sciences, dramatic changes seem to occur almost weekly as new techniques and methods are developed. We are committed to practice with the latest techniques and scientific advances in dentistry. To all our current patients, we thank you for your confidence and trust. We look forward to your continued visits. To our prospective patients, we look forward to serving you in the future. For more detailed information about the professionals at our practice, please go to Our Team page.